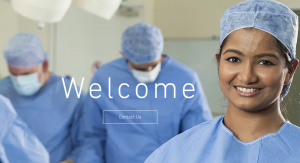 Surgery For You is one of best website for general surgery and laparoscopic techniques, utilizing the latest surgical advances in all his operations. Dr. Shakov is an expert in general surgery and laparoscopic techniques, utilizing the latest surgical advances in all his operations. Dr. Shakov actively demonstrates expertise and knowledge in evaluation and diagnosis with all his patients. His treatment plans are specified to each unique individual and their surgical issue. Each patient is treated as a complete person, not just their disease.